As its getting colder we are rugging our horses with more rugs to keep away that chill. A common problem to come from that is rubbed shoulders, manes and tails. The HG stands for Hair growth. This 100% natural blend of premium raw oils and extracts are specifically aimed at helping hair growth, soothing itchy and flaking skin and helps prevent further hair loss. No filler or useless ingredients in this serum and no sticky cream to attract dirt and dust. 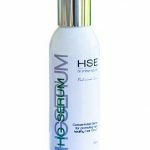 HG Serum is full of added goodies for the hair like Vitamin A&E, Rosemary, Lavender, Jojoba and heaps more. Ingredients are proven to be Anti-Bacterial and Anti –Fungal, they promote circulation to the hair follicle and keep the skin moisturised. HG Serum is really concentrated and a little goes a long way! Just rub a few drops onto the affected area daily to see results. HSE SupaV is an elegant, powerful cream full of incredibly beneficial ingredients to feed the skin & hair, restoring dry, damaged skin areas and promoting quick hair regrowth on the body. Perfect for use on minor scrapes, grazes, wire &amp; rope burns, rug rubs etc, SupaV smoothes and hydrates old scar tissue, and may be applied to recently healed wounds to encourage smooth epithlialization and maximise new hair growth. Formulated specifically for sensitive skin, SupaV contains Vitamins A (Retinyl Palmitate, E (Tocolpheryl Acetate), B3 (Niacinamide), B5 (Panthenol), C (Ascorbic Acid), with soothing, protective Zinc and natural emollients. SupaV is a must have cream for the tack box for those usual nicks and scrapes horses often have. Both these amazing products are available through our online store.